On average, new homes Tomball TX sell for nearly 400, 000. The average price is somewhere in the region of 391, 672 dollars. Tomball TX is home to more than a couple of sprawling luxury properties, so it makes sense that homes would start close to the 400, 000 range. However, it is well within the realm of possibility to find homes for sale that clock in at the low 300, 000 dollar range. These are homes that can have a square footage of nearly 3000 square feet, multiple bedrooms and bathrooms, modern kitchens, and even the option for a limited amount of acreage. You can find a number of different types of homes in this city, as well. Ranch-style homes are particularly popular throughout Tomball, but you can also find Mediterranean-style homes, a range of contemporary-style homes, and much more. 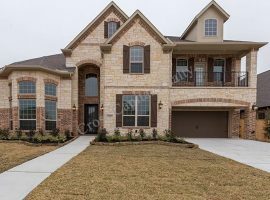 Different neighborhoods in Tomball are more ideal than others, if there is a particular type of home that you would like to by. Tomball features neighborhoods that offer cozy, modern-looking homes for anywhere from 200, 000 dollars, to that 400, 000 average that we mentioned before. If you desire something along the lines of a sprawling estate, complete with plenty of acreage, you will find neighborhoods that will accommodate your wishes in spectacular fashion. With homes like these, it is rare to see anything sell for less than a few million dollars. Tomball TX also offers homes for sale in exclusive, highly competitive gated communities. In the end, when it comes to new homes Tomball TX, we are talking about options that can appeal to just about anyone. Whether you want to retire to a spacious property with acreage to call your own, or if you are looking for a charming townhouse that would be perfect for a family of four, you can find options throughout Tomball that can suit your needs. 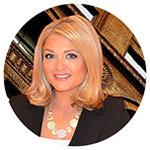 Major home builders have been contributing to this community for a number of years. Those relationships continue into the present, as new homes in Tomball TX continue to be built. The city embraces this growth, while still maintaining the warmth and friendliness that are essential to great small town atmosphere. 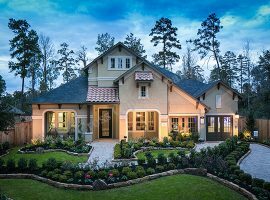 Lennar, David Weekley Homes, Pulte Homes, Village Builders, and CalAtlantic Homes are among the top Tomball home builders. However, there are many more. 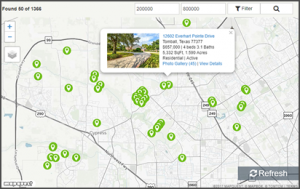 While the homes in Tomball are impressive, it’s important to also take a moment to learn more about the general area. Tomball enjoys a close proximity to key areas like Spring TX and Klein TX. You will also be reasonably close to everything Houston has to offer. At the same time, you will want to appreciate that Tomball TX has much to offer on its own terms. The area is home to parks, small shops, major retailers, restaurants, grocery stores, and so much more. Old Tomball in Downtown Tomball is just one example of the attractions that appeal to visitors and locals alike. This is a small city that celebrates its history, while looking ahead to the future. Anchored by the Tomball Independent School District, the new homes Tomball TX options can be ideal for those who wish to raise a family. A number of National Blue Ribbon Schools can be found throughout Tomball, with Tomball Memorial High School being just one example of the fantastic educational opportunities that await kids of all ages. This is a major part of the appeal that makes people want to put down roots for years. You will also be close to Cypress, which is just twenty-five miles from Downtown Houston. Cypress has a great deal to offer, including a number of major employment centers. It has a close proximity to Downtown Houston, but it is also close to just about everything else you can find in Harris County TX. This includes places like The Woodlands, some of the finest golf courses in the state, and a number of picturesque lakes.